Adorable Glass Sea Turtle Kangaroo Romper is a great one piece outfit option for your little one. 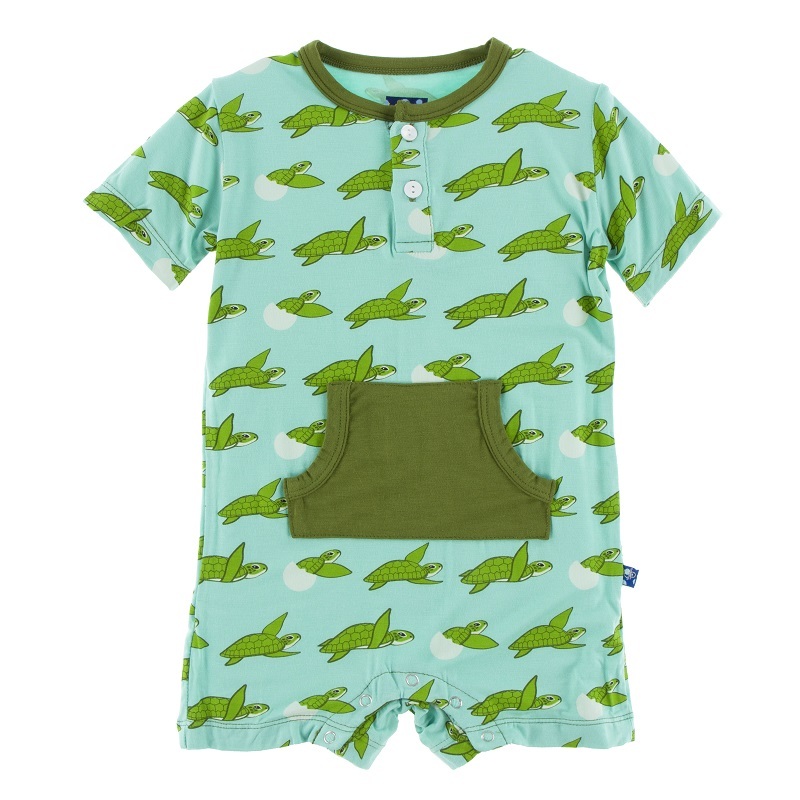 Snaps at the legs and a pull kangaroo front pocket is the perfect warm weather outfit. 95% bamboo from viscose 5% spandex by Kickee Pants.